Sangeun Lee is an upcoming sophomore at Eastside High School in Florida. Sangeun’s hobbies include digital and fine art and playing the piano. “Them and I” was selected as a Top Ten Winner for the Spring 2013 national art contest. 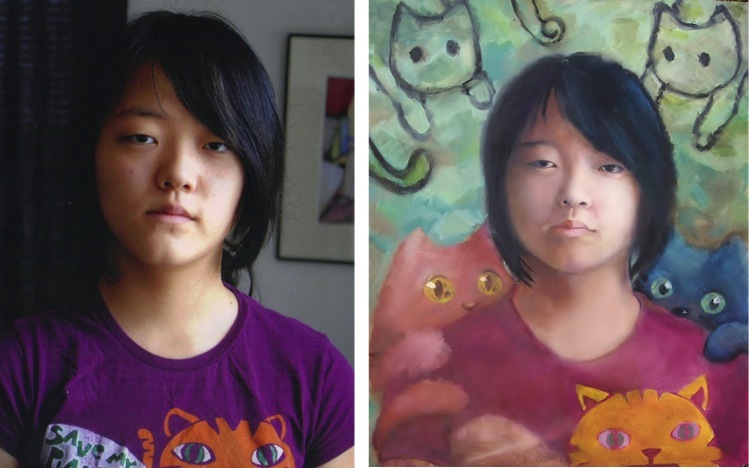 “Them and I” was partly inspired from the shirt Sangeun was wearing when the reference photo for the piece was taken (shown above); there was a cat on Sangeun’s t-shirt, which prompted the additional cats in the background of the painting. For the future, Sangeun plans to pursue an art-related career, but also has an interest in Computer Science. 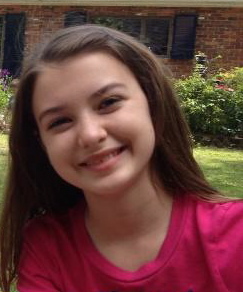 Caroline is a 6th grader studying at LJ Alleman Middle School and Fine Arts Academy in Louisiana. 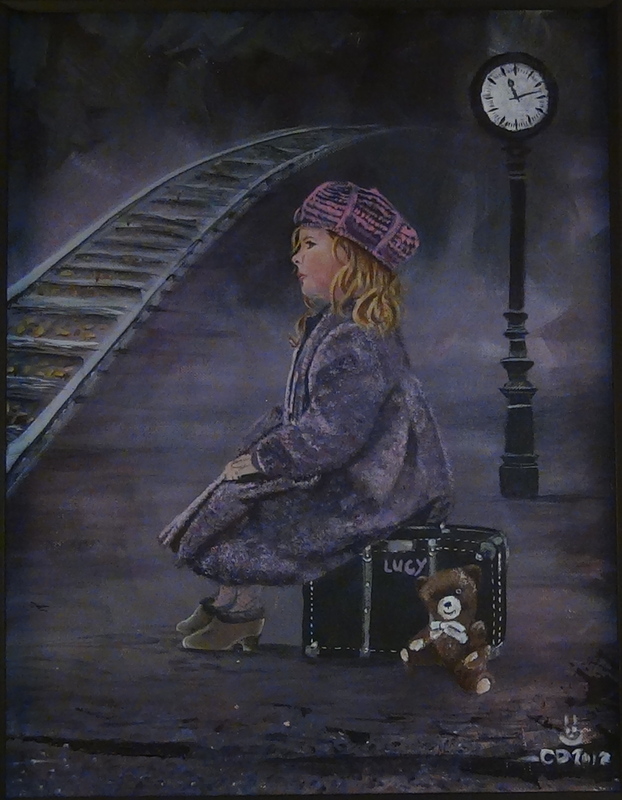 Her art, “Lucy“, was selected as a Top Ten Winner in the Spring 2013 national art contest. “Lucy” is very special to Caroline, as she did a lot of research before painting her. Caroline was dressing Lucy in attire from around the 1930s-1940s. She researched shoes from that era and even a clock in that era. Caroline used her creativity and wanted to have Lucy wear fishnet stockings and wanted to put a teddy bear with only one eye. The painting was very well planned and took over three months for her to paint. For the future, Caroline plans to make good grades, go to an art college, and be a famous artist. Caroline is already selling prints of her original paintings.